We’re ready to make a pitch to Shark Tank. Our invention: A protest sign with a permanent image of Trump and changeable letters for the injustice du jour. Well, tomorrow from 4:00 to 6:00 p.m. we’ll be armed with both our traditional Fitbit and an old-fashioned handmade sign when we join the hundreds who have already committed to taking part in the #NotGoingBack ! Dallas LGBTQ Rally and March at Resource Center. 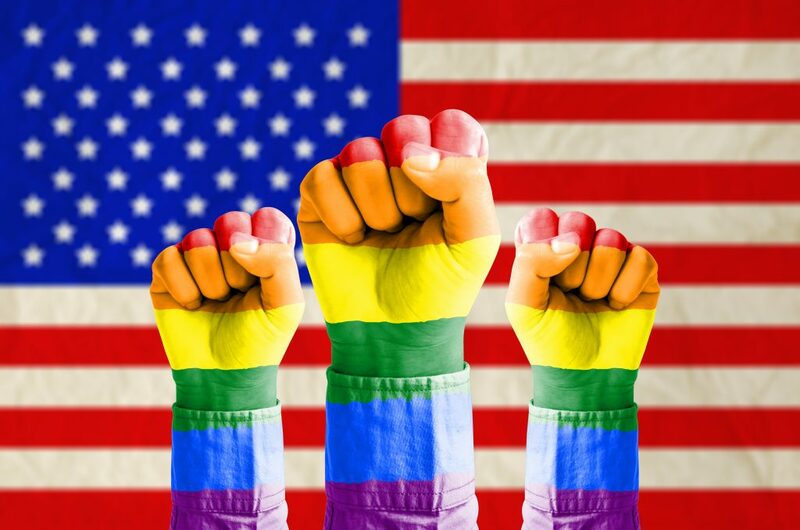 With rumors of extreme agendas against LGBT people at both federal and state levels, now’s the time to make your voice hear, whether you’re part of our community or one of our beloved allies. We’ll also be showing our solidarity with immigrants, refugees, women, pretty much anyone threatened by this scary new administration. Supporting organizations include Lambda Legal, Dallas LGBTQIA Front, Dallas Workers Front,Take Back Oak Lawn, QueerBomb Dallas, LULAC 4871 – The Dallas Rainbow Council, Cathedral of Hope, Dallas Gay and, Lesbian Alliance (DGLA), Stonewall Democrats of Dallas, Fight for Fifteen Dallas, Democratic Socialists of, America- North Texas, Resource Center, Human Rights Campaign (HRC) DFW, Equality Texas and Congregation Beth El Binah. This local rally and march takes place immediately following a solidarity rally at New York’s iconic Stonewall Inn and we’re sure more cities will join in Saturday, too. So make a sign, get out your rainbow garb and come prepared to peacefully protest for our continued equality as LGBT citizens.